There's nothing quite like riding the trails on a bike that's built for it, able to handle every twist, climb, and drop. Depending on your skill level and what trails you want to conquer, we have a mountain bike that will maximize your fun in the dirt. The Epic FSR Comp makes the most of alloy's undeniable appeal—the perfect blend of performance and strength. It offers the same incredible handling and climbing prowess as its expensive stable mates, while it's built with Shimano Deore stopping power, a 2x10 drivetrain, and Roval wheels. Our Epic Hardtail singlehandedly takes hardtail alloy XC bikes into the modern age, with the most capable geometry out there and a build kit that's all business. If you show us the trail rider that says they couldn't use more traction, we'll show the trail rider that's never ridden our Fuse 6Fattie. We like to call it the ultimate trail hardtail, and with our 6Fattie Wheel System, this becomes more than just talk. No matter your height or experience level, our Hardrock will fit you perfectly. And with durable, performance-driven components, powerful disc brakes, a bump absorbing suspension fork, and our nimble, playful Sport Trail 650b Geometry, you'll be left feeling confident and inspired. We can't help ourselves but to over deliver when it comes to making sure that you have the best possible ride. 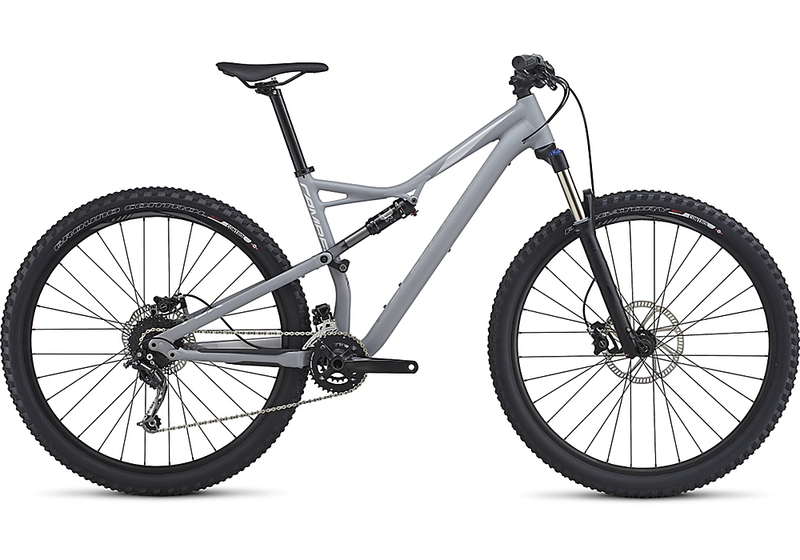 And with durable, performance-driven components, reliable V-brakes, a bump absorbing suspension fork, and Sport Trail 650b Geometry, the Hardrock V 650b is more than enough bike to get you out there riding dirty. We know that picking a mountain bike can be a daunting process, what with all of the options and technology floating around out there. But while some suspension platforms and tech pass like fads in the wind, hardtails have stuck around since the advent of the mountain bike. That's why we built our Pitch Sport 650b around a hardtail design. Maybe you're finding your legs on the singletrack, or perhaps you're just dirt-curious? 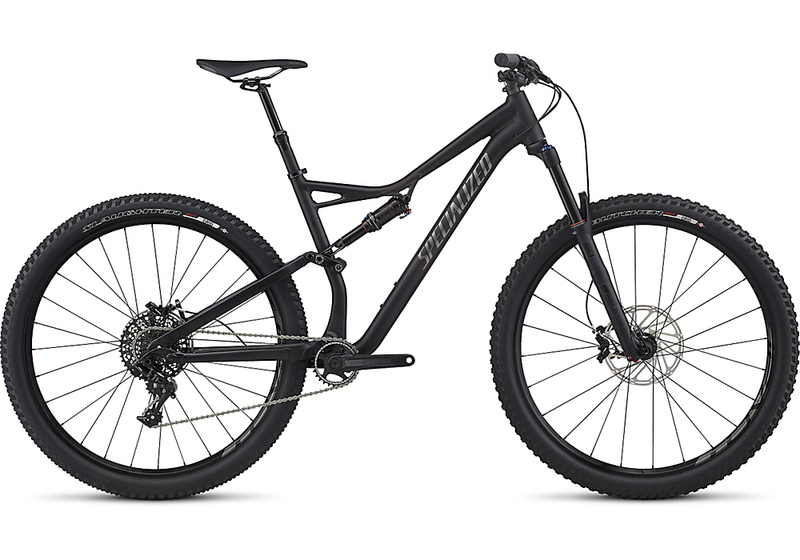 Either way, the Rockhopper Sport 29 is the only bike you need to live out your trail fantasies. It places a focus on long haul performance, and we're not talking about 100-mile trail rides. Don't get us wrong—carbon is awesome. But when it comes to maintaining peace of mind while you're getting rowdy, nothing compares to the confidence of our alloy Stumpjumper FSR Comp 29. It's light, rugged, and packed with all the spec and travel you need to run it wide open out on the trail.